There’s a definite international feel to this month’s miscellany with interesting knotwork used a ritual markings in Tamil Nadu and graffiti from Spain, France and Gozo, Malta. We would also like to take the opportunity to wish our readers health, wealth and happiness in the coming year. Thanks to NW Graffiti for the heads-up on this! 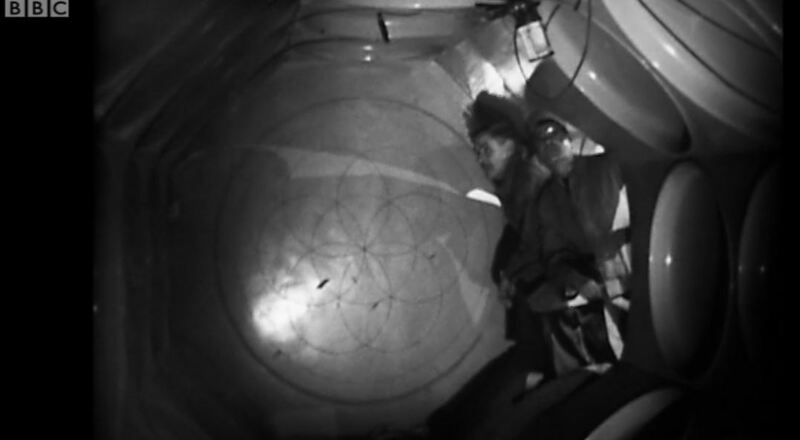 Quatermass and the Pit, currently on BBC iPlayer, features a spaceship engraved with a perfect compass circle (Type 2d). It is explained in the show as a ‘pentacle… an ancient cabalistic design used in black magic’. This particular one is Martian and 5 million years old. If, as part of your graffiti hunting, you stumble across one of these Martian compass circles keep the press, cameras and high voltage electricity sources away from it. That’s when things can go seriously pear-shaped!